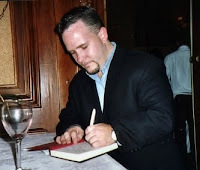 An award winning journalist, Casey Sherman gained international headlines with his re-investigation of the notorious Boston Strangler case. He later chonicled it in his true crime bestseller A Rose for Mary. He landed back on the bestseller list in 2009 with his sea epic The Finest Hours, co-authored with Michael Tougias. The story tells of two oil tankers which split in two during a howling storm, and the valiant attempt to rescue the men inside the broken halves of the two ships. Bio in part from Amazon.com.